Ferry Publications. 1994 1st.. 128pp. Prof ills. 30x21. Like new; Mint in Mint pictorial card cover. 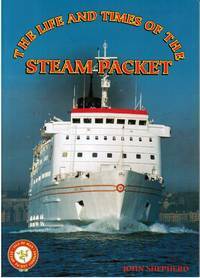 Although telling the story of the Isle of Man Steam Packet Company from the 1830s to the mid-1990s, the book concentrates on their ships highlighting important events in their careers, as well as supplying technical information about the various ships. Illustrated with over 200 photographs (including some colour). Fleet List. Ferry Publications. 1994. 4to - over 9¾" - 12" tall. F First Paperback Edition Stated Used. Paperback. Near Fine. Ferry Publications., 1994. 128pp, photographs.. First Edition. Paperback. Near Fine.. 4to - over 9¾" - 12" tall. U. K.: Ferry Publications, 1994. Size: Oversize. First Edition.. Paperback. As New. Trade Paperback. SOS Free Stock, 1994-12-12. Paperback. Good. Kilgetty: Ferry Publications, 1994. No marks or inscriptions. No creasing to covers or to spine. A lovely clean very tight copy with bright unmarked boards and no bumping to corners. 128pp. 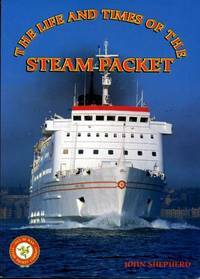 The story of the Isle of Man Steam Packet Company. Well illustrated.. First Edition. Soft Cover. Fine. 11.75 x 8.25 inches. Large format paperback. 128pp. Illustrated in colour and black/white plates. pictorial card covers. Very light edgewear. Ferry Publications (Wales), 1994. 128pp. Slightest edge wear. A very pleasing copy. Immediate dispatch from the UK. (bs19). 4to - over 9¾" - 12" tall. Soft cover. Very Good/No Jacket. FERRY PUBLICATIONS, 1994. 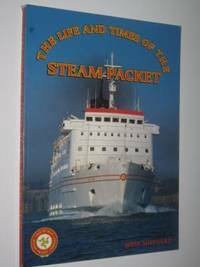 Heavily illustrated history of the Isle of Man Steam Packet Co. but with emphasis on the post-war years. 128pp with photos etc.. VG copy in card covers.. 1st. Card. VG. 4to. Kilgetty: Ferry Publications, 1994. Soft cover, 128 pages, illustrated throughout. Clean covers, spine un-creased, binding strong. A former library book withdrawn, with usual stamps and sticker residue and top corner of FEP clipped. May have marks inside however the interior appears to be generally clean. Packed well, prompt reliable dispatch. . Soft Cover. Acceptable. 4to - over 9¾" - 12" Tall.. Ex-Library..
SOS Free Stock, 1994-12-12. Paperback. Used:Good.